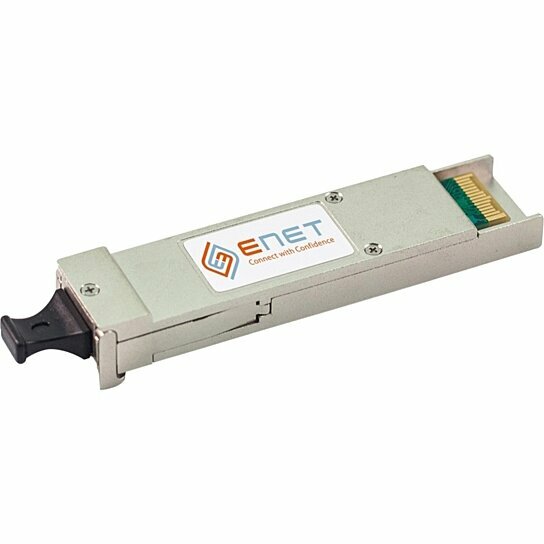 Each 100-01509-ENC transceiver operates at 10.3 Gbps and OC-192/STM-64 over Single-mode fiber at 1310nm with a maximum reach of 10 kilometers. All ENET OEM Compatible transceivers are MSA compliant for seamless integration and RoHS compliant for environmental conformity. All ENET transceivers are 100% tested in-house for functionality and compatibility and backed by a Lifetime Replacement Warranty.